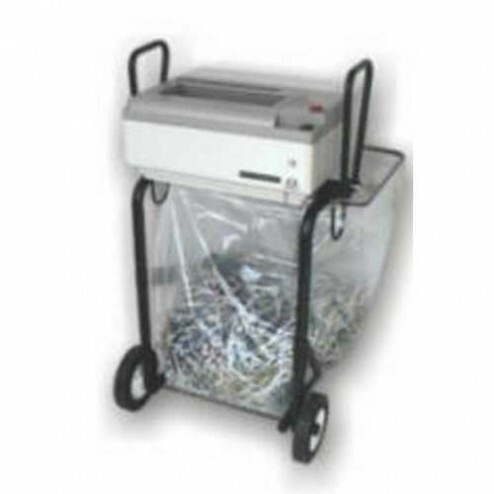 The Oztec 1050-FS Strip Cut Paper Shredder w/Portable Folding Stand saves time and money. Oztec offers a complete line of High Volume office paper shredders for small to large offices, packing departments & mail rooms. All models handle staples and paper clips. The units are powered by whisper quiet motors which are continuous-duty rated for hours of uninterrupted use and require virtually NO maintenance. The Model 1050 features a 10" throat and 1/2 h.p. motor. Maximum capacity is 26 sheets per pass (20 lbs. 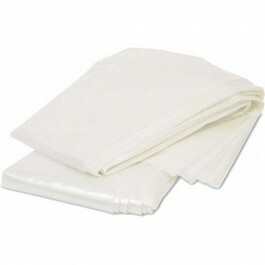 bond paper) or 33 sheets per pass (16 lbs. bond paper). As with all Oztec paper shredders, the shreds exit downward so you can empty the bag from the front and place the machine and stand up against a wall. The Oztec Model 1050 is perfect for the general office or executive center where space is a consideration, yet high performance is a requirement.